FY Friday: The Best Car Related Video of All Time. Quite possibly the most emotional stirring car related video Ive ever seen. Its just brilliant. Watch it and prepare to enjoy the next 16 minutes of your life. Funny what a short clip of a burnout does. 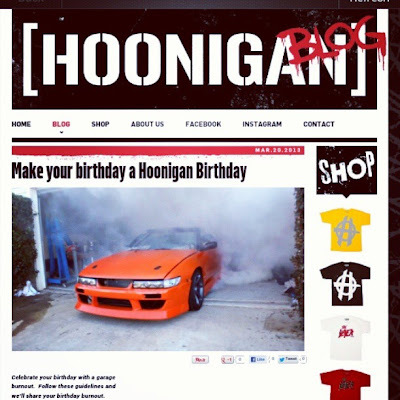 Hoonigan picked up our little Birthday Burnout idea with my permission of course and made there own youtube channel for it and everything. The 240sx (as you can see) has been coming along well lately so expect to see another build post in the near future. Thanks for sharing this video everyone and we still expect to see some of our racefriv friends try to out-do me. Hopefully you can!!! Till next time stay frivolous! So while we were all out drifting at the KMS event our racefriv friend Christian Retter was out getting some track time in his rust colored C6 Z06. Hes got a cool setup with his go pro now with gauges and such so Id thought Id post it up. So hit play if you want to see what its like hitting the hills at Road Atlanta in a 500hp car.